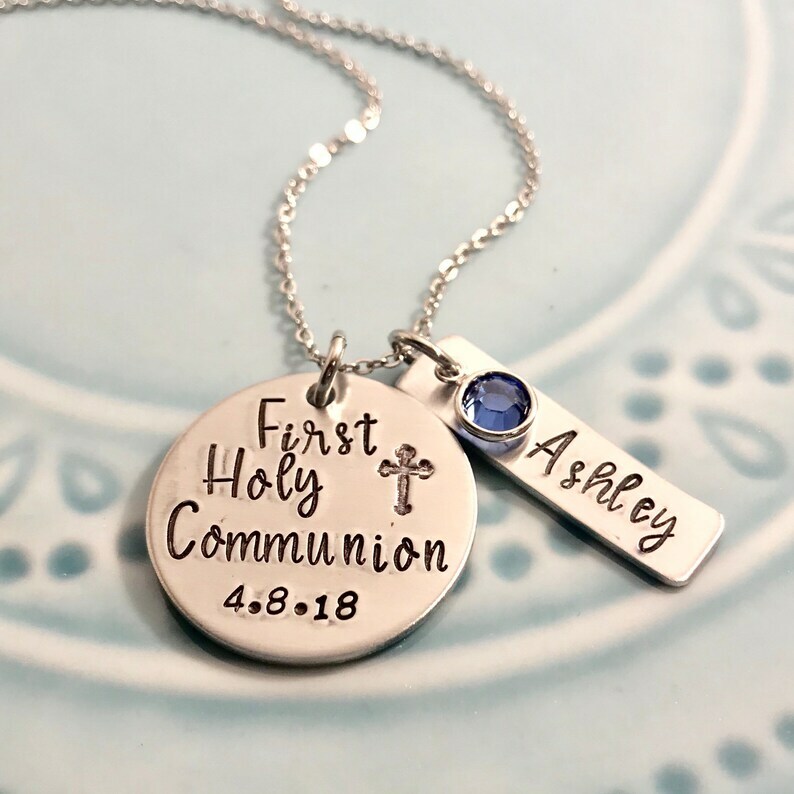 Perfect for a first holy communion, this one inch round aluminum disc is stamped with "First Holy Communion" and a cross as well as the date if you choose. It also has an additional rectangle tag that can be stamped with a name and comes with a pretty Swarovski birthstone crystal. Aluminum is a lightweight metal that works great for jewelry since it does not tarnish or change. The chain is a delicate but sturdy stainless steel cable chain with an additional 2" extender. You can choose a 16" or an 18" chain (that will extend to 18 and 20 inches respectively).